The New England tight end will have to sit out next Monday's game in Miami, barring a successful appeal. White was lying face down on the sideline after intercepting a pass in Buffalo on Sunday when Gronkowski jumped on him, driving his forearm into White’s back and head. Gronkowski was called for unnecessary roughness, but not kicked out of the game. 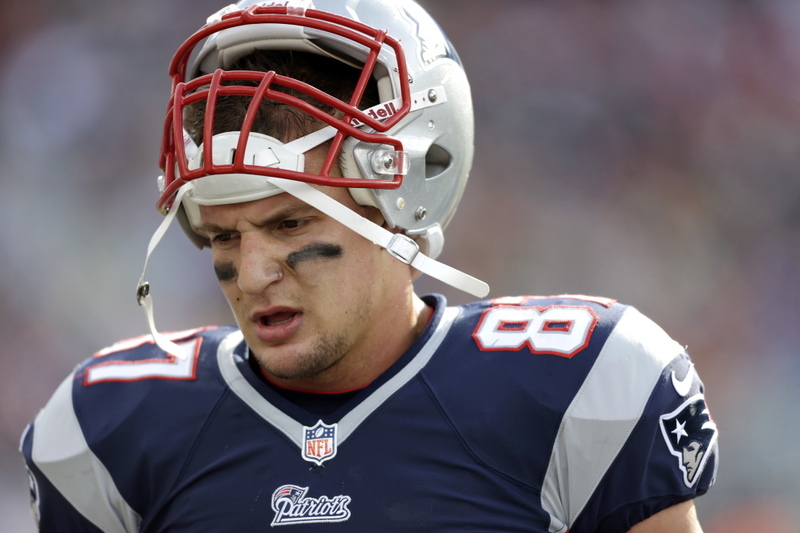 Gronkowski will appeal the punishment, his agent, Drew Rosenhaus, told The Associated Press. White entered the concussion protocol, Bills Coach Sean McDermott said. After the game, Patriots Coach Bill Belichick appeared to apologize to his Buffalo counterpart. Gronkowski also apologized, saying he let his frustration get the better of him. 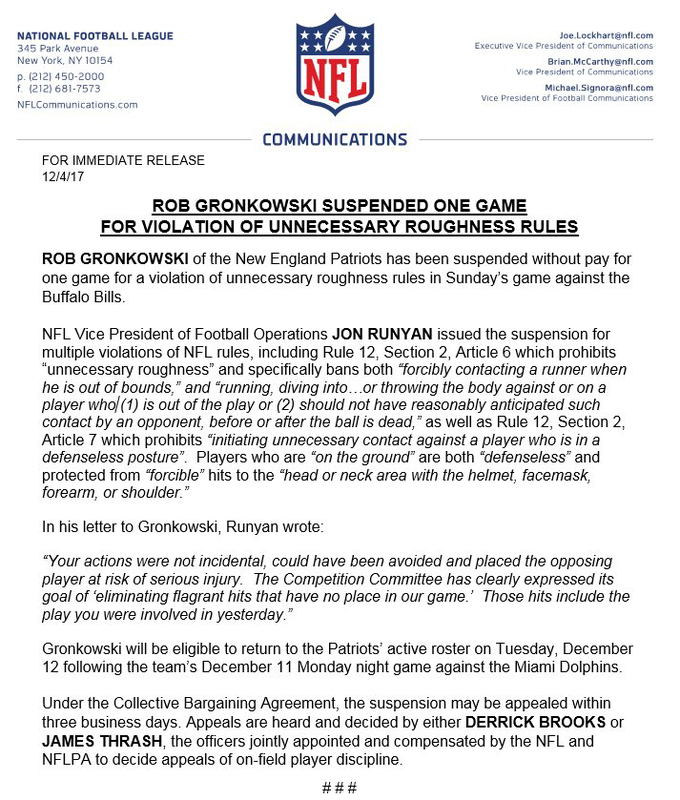 Barring a successful appeal, Gronkowski will miss New England’s game against Miami next Monday night. Gronkowski caught nine passes for 147 yards against Buffalo on Sunday. On the play that resulted in the interception, he felt he was pushed and held.